In the present day of reviews and opinions, nowhere is online reputation more important than in the travel industry. Websites such as Booking.com, TripAdvisor et al are a hotel, attraction or destination’s virtual reception desk. Just as one would not ignore a physical guest, neither should a potential one be. The session will discuss simple ways to integrate and manage online reputation in the travel industry. 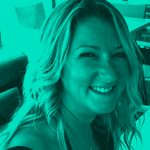 A highly experienced sales, marketing and communications specialist with over 10 years in the travel industry, and an original member of the TripAdvisor European office. My unique insight into the importance of online-reputation, through working globally with hotels, travel agents and tourism boards, has taught me the extreme importance of correctly managing one’s online reputation. My previous work within women’s press on titles such as Cosmopolitan, Hello! Magazine and Handbag.com has given me a lifelong passion for marketing, branding and communication.